Now that I have my own family I have become more aware of living a healthier life not just for myself, but also looking for the healthiest way to prepare for my husband and children. One thing that I consider of taking is a healthier way for my daily drinks, food and at the same time lose some unwanted weight without pressuring myself. 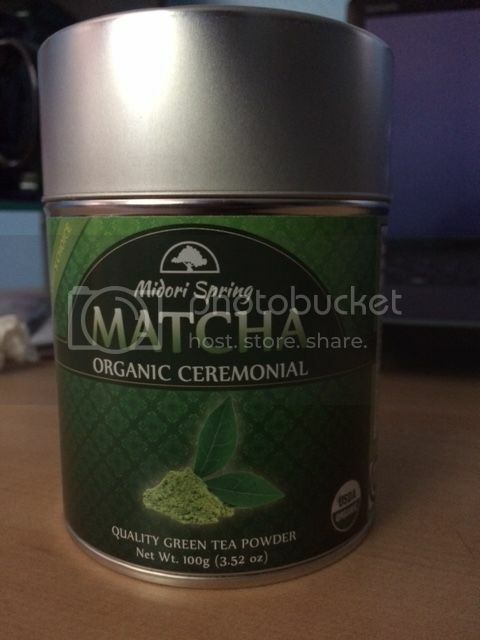 It would be my first time to try Matcha Organic Ceremonial from Midoris Spring. The product is in powder form, the smell is fine, doesn't bother me at all. It's nice that when I put the tea powder in my drinks, I don't normally taste the powder instead it only makes my drinks look funny as the mixture of two different colors. In the email they provided me about how to use and where to use the product, I do find it very helpful. This organic tea powder is amazing, I don't feel any effects yet but I am sure later in time I will benefit it's purpose. I am satisfied with the tea powder and because I don't taste its bitterness I would recommend this to those who likes tea yet never likes the bitterness. I have a matcha tea but I haven't use it yet. I still need to find a recipe for it. I like green tea, whether hot or cold. I love the smell to and it also doesn't bother me. I wonder how this drink taste, I was wondering what that "ceremonial" thing is. LOL. My hubby always encourage me to drink green tea. It has many health benefits, more so for the organic ones. I love green tea! I also have the matcha powder, but it's from a different brand. I will look for this next time. Anything organic is fine with us. organic tea powder , love to try this one.